Space is limited-Apply early. Program is closed when all positions are filled. 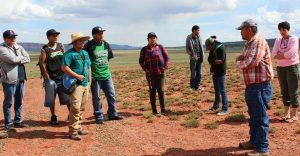 Diné College has developed a model program for training students in public health prevention research. 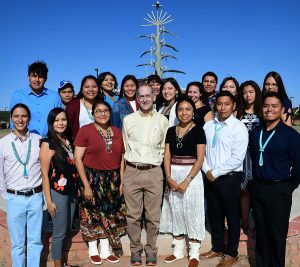 Diné College believes that Native American students are more likely to develop an interest in prevention research if those interests are nurtured in a culturally supportive atmosphere. Summer Internship Program. Contact Neilroy Singer at 505-368-3554 (Shiprock Site) or Dr. Donald Robinson at 928-724-6719 (Tsaile Site). The increased awareness of the science, math, environmental and technological fields of profession are a primary goal for DEI. With research-based learning and a focus on curriculum development, we aim toward a progressive system of student learning, adhering to the college mission so each student will develop into a determined, self-reliant student in the science, math, environmental and technological fields. Students majoring in Science, Technology, Engineering, Mathematics. We continue to update programs daily, with over 100 programs added or updated in the last two weeks!